Open since 1999, Dart's Carts was operating under Sculley's Golf Course as a golf cart and utility cart sales and repair company. We have been proudly selling Yamaha and servicing all brands of golf carts for over 15 years. Dart's Carts recently moved from the original location to our new larger location at 1170 HWY 45 Bypass in Jackson, Tennessee less than 2.5 miles off of Exit 80A on I-40. 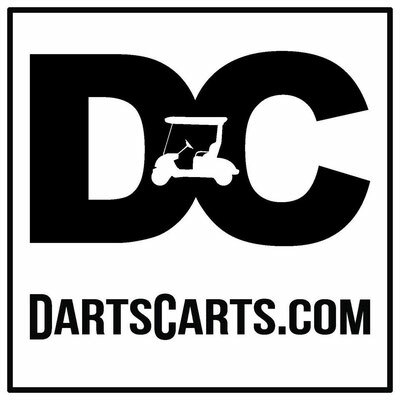 In July 2011, Dart's Carts became a Yamaha Authorized Dealer. After a short two years, Dart's Carts proudly received the Yamaha Golf Car Company's Presidents Award. This prestigious award is only given to the top two dealers in the nation for best overall performance in the Yamaha Golf Car Company. In February '14, We became a Yamaha Authorized Outdoor Power Equipment Dealer. This product line includes Reliable and Quiet Yamaha Generators, Power Washers and Water Pumps. Yamaha began making generators in 1973 and have come a long way. Dart's Carts not only sells these products, we service them as well. Let us show you all the amazing Yamaha Products we have for you. In March '17, We became a LandStar UTV dealer . LandStar UTVs have been built by American Landmaster since 1959. USA made in Columbia City, IN. In December '17 , We became a Textron Off Road dealer. Textron Off Road is the combination of Artic Cat and Textron's own UTV and ATV. The resulting brand is made in the USA . Textron brings the technology of a Fortune 500 company to the renouned performance of Arctic Cat ATVs and Side-by-Sides for a brand proud of our past and driven by our future. In January '18 , We became an E-Z-GO dealer. E-Z-GO, a member of the Textron family sinco 1960, has become a world leader in transportation and a leading global manufacturer of golf cars, utility vehicles and personal transportation vehicles and we are proud to be part of that. In April '18 , We became a Dixie Chopper dealer, a leading brand of industrial, commerical, and residental zero-turning lawn mowers manufactured in Fillmore, Indiana. Founded in 1980 and was purchased by Jacobsen/Textron in 2014. 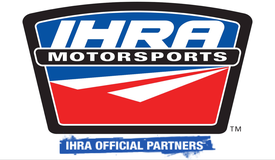 In Dec '18 , We announced a multi-year partnership that will see Dart’s Carts become the official golf cart and side-by-side provider of the IHRA (The International Hot Rod Association). Dart's Carts offers New and Used golf carts and utility carts with In-House financing available. We also have rental golf carts available for any occasion or event. Weddings, Industrial Usage, Company Outings, Sporting Events, Golf Tournaments and much more. Utility Trailers are available for purchase and custom order. 10,000+ parts are also available for purchase along with our personal touch to customize your cart. We like to say, "If it can be put on a car, we can put it on a golf cart". Accessories are available for all golf cart brands. Custom paint and custom golf cart bodies can also be installed. Stop by and visit us today to see our golf cart inventory and wide range of golf cart accessories.